If you’re looking, veganism is everywhere. For many, what once used to be associated only with hacky-sack-equipped, dreadlocked Grateful Dead fans has extended to a former president, one of the biggest faces of daytime TV and yes, even our Oscar winners. The diet cuts out a lot of things included in the traditional American diet, removing any animal meat or byproduct (including milk, eggs, honey and gelatin). For many, the appeal is ethical, an issue that’s been pushed to front pages of newspapers& this month because of “ag-gag” bills and explored recently by one of our most celebrated contemporary authors. Others cite the health aspect most notably pointed out by the recent doc Forks Over Knives, which emphasizes a whole food, plant-based diet that many credit for their drastic health changes. My own path to veganism started when my family adopted a malnourished puppy named Bruce. At the Humane Society, he was an excitable runt with a spotted eye that was too hard to turn down, and we didn’t even realize he was a pit bull until the adoption papers were being signed. Our path to training him and researching his breed sent me on a trail of Internet links to countless animal rights resources. The resources not only advocated his breed, but shed some light on issues I hadn’t bothered to investigate, including factory farming conditions. Although I had been a vegetarian for almost 10 years, the further research showed that—while this lifestyle isn’t for everyone—it’s what made the most sense to me. But whatever the reason, the national interest is there. 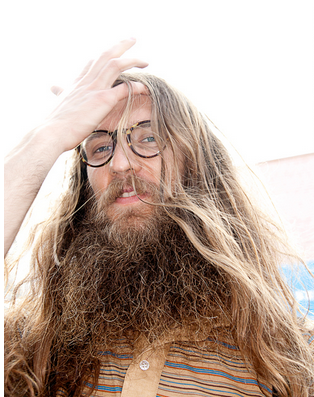 I spoke to eight artists—whether they were actors, musicians or podcast hosts—about their veganism and asked them to share a recipe of their own. 1. Line a 12-cup muffin tin with paper liners. (If You Care makes unbleached liners made from recycled paper.) Set aside. 2. Break the graham crackers into large chunks and place in a food processor or blender. Pulse on and off until they are ground to fine crumbs. Measure out 3/4 cup of crumbs (reserve the rest for another use) and set aside. Melt the butter in a small saucepan over medium heat. Stir in the peanut butter, graham-cracker crumbs and maple sugar, and mix well. Remove the mixture from the heat. Evenly divide the mixture, approximately 2 tablespoons per cup, among the muffin cups. 3. Combine the chocolate and milk in another pan. Stir over medium heat until the chocolate has melted. 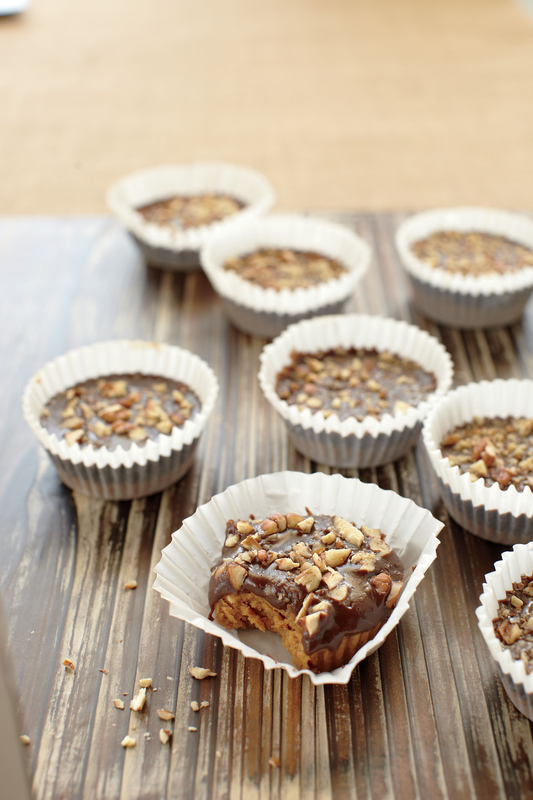 Spoon the chocolate evenly over the peanut-butter mixture. Top with chopped nuts. Place in the refrigerator to set for at least 2 hours before serving. 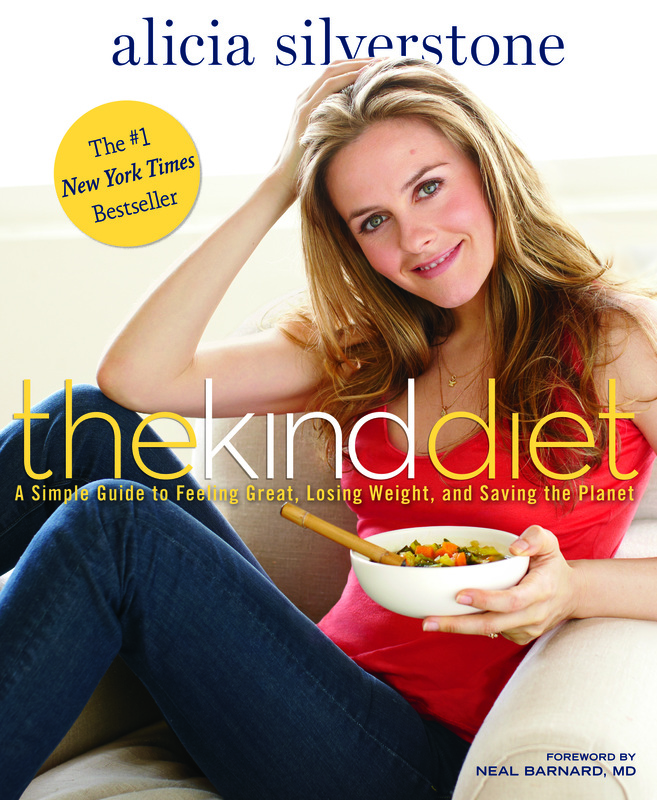 Alicia Silverstone’s cookbook, The Kind Diet, is out now. Ed. This is Kristen’s take on Martha Stewart’s Braised Fennel and White Beans, adapted to be cooked vegan. This recipe is so filling and rich, but all the ingredients are healthy and simple. 2. Add beans, stock, chopped oregano, 1 teaspoon salt, and 1/4 teaspoon pepper. Cook, stirring occasionally, until liquid has reduced by about half, 3 to 4 minutes. Stir in vinegar and buttery spread; remove from heat. Garnish with oregano leaves. After being on tour, I often feel a strong desire to make comfort foods like mac and cheese, so when a friend recommended this recipe I tried it out. Because of the extra cashews, I bumped up the garlic, nutritional yeast, salt and mustard content slightly: an extra clove of garlic as well a jalapeño for spice, an extra shake of salt/nutritional yeast, extra tablespoon of mustard. Next I blended all the cheese ingredients before putting them in a saucepan. Obviously this made way more cheese than could be consumed in one sitting, but I just stored the cheese in a jar and made it a couple times in a week. After cooking the pasta and simmering the cheese sauce, I mixed the two, as well as the peas, broccoli and baked tofu in an 11” x 15” glass baking dish and baked at 450 degrees for about 10 minutes. 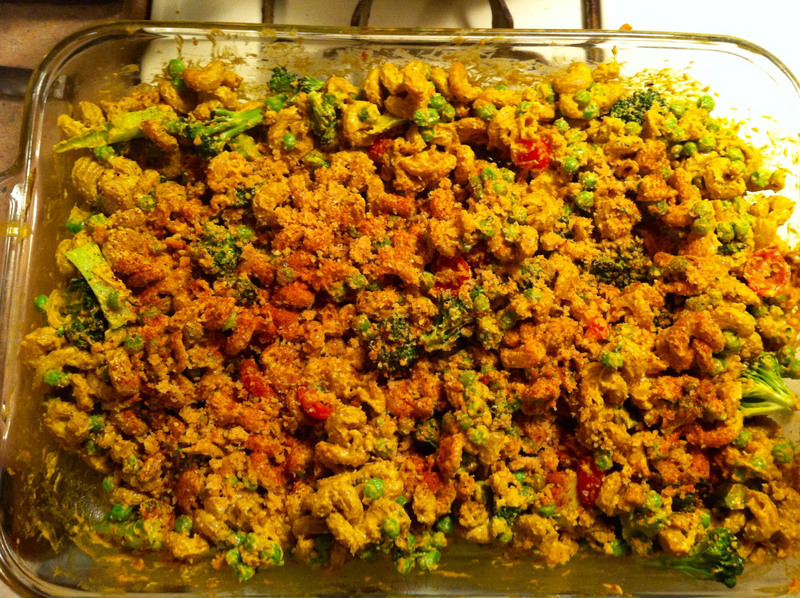 While baking, I used Ezekiel 4:9 Sprouted Whole Grain Cereal instead of bread crumbs to make the crispy top. It ended up being delicious and I will definitely be making it again upon returning from this tour!